The world outside is a toxic ruin, but genetically 'pure' humans have their refuge in the Spire - a huge, enclosed, vertical city that dominates the territory surrounding it. Outside the Spire's protective walls, tribes of post-human 'skews' eke out an existence, caught between the Spire's authoritarianism and the predations of roaming bands of a radical religious sect bent on their destruction. 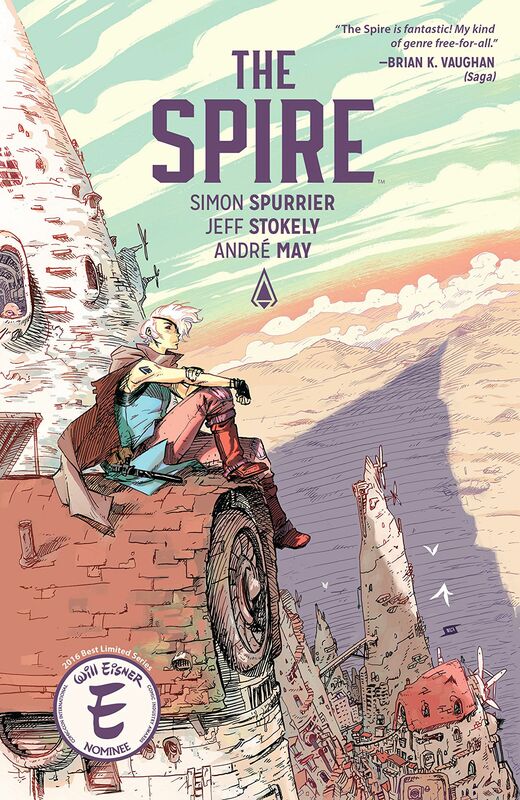 Within the Spire's walls, a detective is tasked with solving a series of grizzly murders and maintaining a fragile peace, while the city lurches toward chaos. 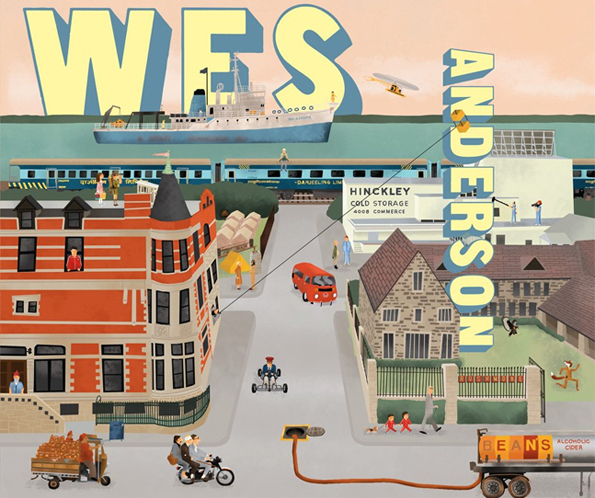 The Wes Anderson Collection is a series of 3 books showcasing Anderson's iconic films. These books are a must read for any Wes Anderson fan! The first book in the series, The Wes Anderson Collection, is a retrospective of Anderson's career. Containing an interview running throughout the book, it begins with Anderson's childhood and covers everything from the people he's worked with to his inspirations. The second volume, The Grand Budapest Hotel, focuses on the movie, and includes stories and anecdotes from set, photos of set inspiration, and a variety of essays from film critics to style and costume consultants for the film. The third volume, Bad Dads, is a showcase of fan art from over 400 different artists. The art celebrates characters from Anderson's movies. Isle of Dogs, Anderson's latest film, is in theaters now. Look for it at the library when it's released on DVD/Blu-ray! Amanda Lipitz’s outstanding documentary STEP is worth making time to watch. It follows the development and progress of a step team at Baltimore Leadership School for Young Women, and features a close-up look at the lives of several members of this team. Blessin Giraldo, Cori Grainger, and Tayla Solomon all have different reasons for joining the team (or in Blessin’s case founding it) and different hopes and trajectories for their senior year at this charter school that aims to send 100% of its graduates to college. What these three young women share is their dedication, determination, and incredible skill when it comes to step, where they give their all, both mentally and physically. The scenes featuring tense rehearsals and captivating competitions, and the vulnerability that Blessin, Cori, Tayla and others are willing to share with viewers, combine to make a powerful and moving film. STEP was highly awarded. A few of its accolades include a Special Jury Prize at Sundance Film Festival in 2017 and an NAACP Image Award for Outstanding Documentary in 2018. 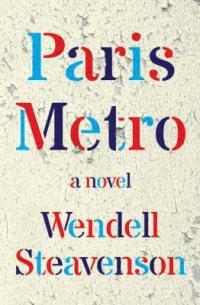 Drawn largely from her articles for The New Yorker, war reporter Wendell Steavenson’s debut novel Paris Metro was initially intended as a nonfiction book about the January 2015 Charlie Hebdo massacre, until the November attacks happened. Catherine (Kit) Kittredge, an British-American reporter, traversed the Middle East following 9/11, filing human interest stories from some of the most dangerous geopolitical hot spots. She met Ahmed Solemani, a Westernized Iraqi diplomat in Baghdad. After their wedding, they moved to Paris where Ahmed began working for the UN. A divorce followed, but not before Kit was left to raise Little Ahmed, his son from a previous marriage, alone. In the company of a makeshift family of diplomats, photographers, and artists, these “two mongrel outcasts brought together by fate” became a family of two. When they lost a friend at Charlie Hebdo, and Kit witnessed firsthand terrorists storming the Bataclan Theatre, she began to distrust those closest to her - her husband, and her own son. Ever wanted to know what it would like in a world where everyone has a superpower? Want to know who people are referring to when they say "Green Naruto"? My Hero Academia follows a world where most people develop supernatural abilities known as Quirks. Izuku Midoriya, Deku for short, dreams to be a hero as well. There's just one little problem standing in Deku's way. He's Quirkless, and the chances are slim. 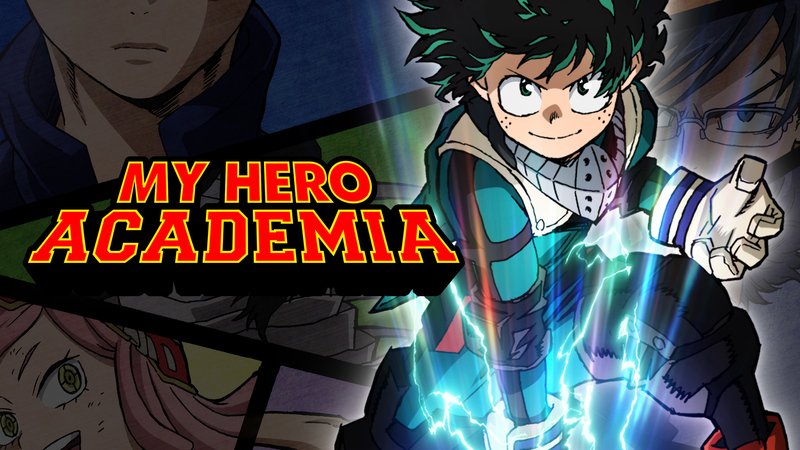 Determined, Deku dedicates his time to studying in hopes that he can join a high school for heroes. Although Deku is definitely not a ninja and nowhere related to the Naruto series, his story is full of adventure and inspiration. I highly recommend watching the series. Suggest a title for the 2019 Washtenaw Reads! Each year, a committee of librarians, teachers, bookstore owners, and members of the public gathers to read a variety of suggested titles and select one to be that year's Washtenaw Read. This year's theme is again simply "A Very Good Read," and can be fiction or non-fiction. The Read will take place in January and February 2019 and typically culminates in a visit from the author of the selected book. This lush, beautifully rendered graphic novel is guaranteed to keep you glued to the page. Miles Hyman's adaptation of Shirley Jackson's classic short story packs an entire small town's worth of tension and detail into 135 slim pages. All is not as it seems in the American heartland, and the reader will encounter more than they bargained for. 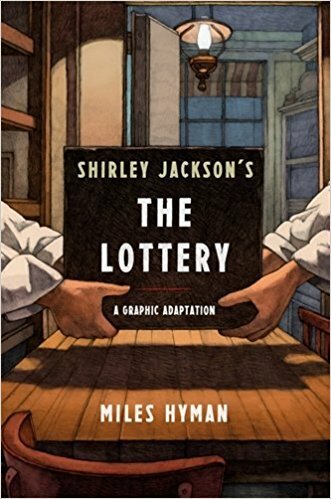 You'll find Shirley Jackson's "The Lottery" in our teen graphic novel section. Follow the links for a review from Hyperallergic and an excerpt Literary Hub. Not far away in Waterbury CT, another mother-daughter duo struggles with similar issues under drastically different circumstances. In Brass* * *, debut novelist Xhenet Aliu draws on her own life to tell the story of 2 generations of an immigrant family - the mother-daughter connections; resilience; and dreams that endure despite the odds. Not everyone loves country music, but it's hard to find anyone who won't listen to an old Johnny Cash tune. 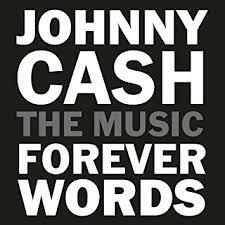 After hearing that Johnny Cash: Forever Words, a new CD featuring various artists performing unheard Cash writings was about to be released, I discovered Forever Words: The Unknown Poems a book comprised of Cash's unpublished writing. The forward, written by Johnny's son John, is a heart-warming account of his dad's true self, his brilliance. "All that made up my father is to be found in this book, within these 'forever words'." Then, as often happens, one thing lead to another and I had to listen to Johnny Cash Unchained when I read that Chris Cornell's performance on Johnny Cash Forever Words was one of his last. Johnny had covered Soundgarden's Rusty Cage twenty one years earlier on that album. It's interesting how lives become woven together from a love of music. Today, April 12, marks the 102nd birthday of beloved author Beverly Cleary. 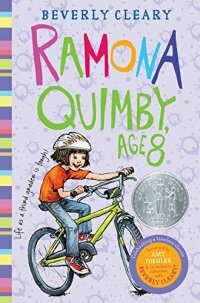 This “living legend” is the creator of many timeless and memorable characters such as Henry Huggins, Ralph S. Mouse and my personal favorite, Ramona Quimby. I spent countless hours with Ramona as a child, but it was through reading Cleary’s books to my children that I came to truly appreciate Klickitat Street and all its residents. Mr. and Mrs. Quimby set a wonderful example of how to raise a spirited child. They are some of my most admired literary parents. 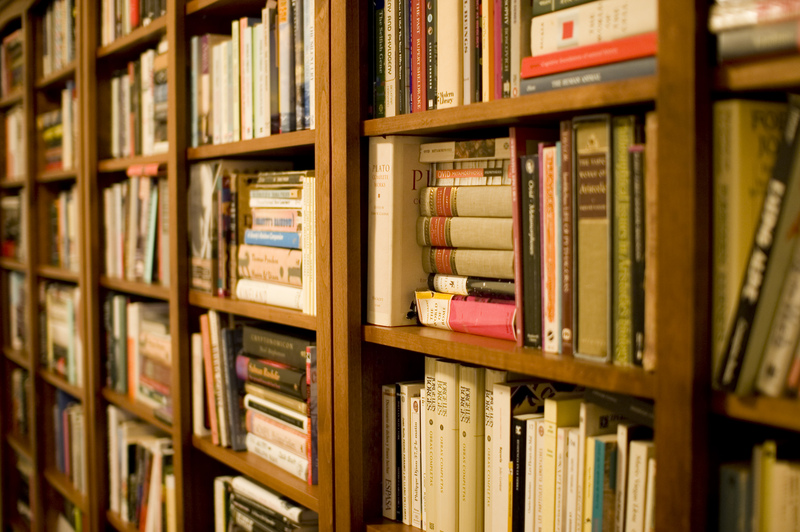 Cleary herself was a late reader as she was raised in a small Oregon town without a library. Once she mastered reading she spent the rest of her childhood with books and was inspired to create the kind of stories she wanted to read, but couldn’t find. For that I would like to say thank you to Beverly Cleary and Happy Birthday! 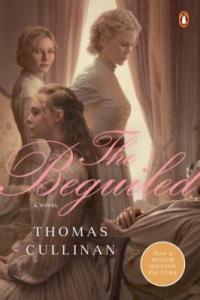 The Beguiled is a Southern Gothic novel set in 1864 Virginia. 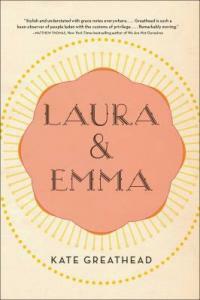 Three years into the civil war, an all-girls boarding school houses two teachers and five young girls. They find themselves caught in a situation of morality and deception when a wounded Yankee soldier is found in the woods outside their manor. The plot slowly unfolds as each chapter is told from the point of view of a different character, and more of their motivation is revealed. This novel will draw you in and have you anxiously awaiting to see who is really charming who under the hot Southern sun. The book was published in 1966, but went out of print. It was recently put into reprint for the release of the 2017 movie remake by Sofia Coppola, starring Nicole Kidman, Kirsten Dunst, and Colin Farrell. The original movie adaptation from 1971 stars Clint Eastwood. Debuted April 3, 1998, on TV Japan, Cowboy Bebop has become one of the staple anime classics. In fact, Cowboy Bebop was the first ever anime televised on Cartoon Network on September 2, 2001. The anime series follows a group of registered bounty hunters (Cowboys) that chase criminals around the Solar System and reside on a spaceship called Bebop. Throughout the series, you'll watch the team go through fun times, dangerous mishaps, and problems from the past. It's a definite must-watch for all anime fans and those interested in getting into anime. As a belated 20th Anniversary, be sure to check out the complete series on DVD or on Blu-Ray at the library! See you space cowboy. National Titanic Remembrance Day will be on April 15, 2018. 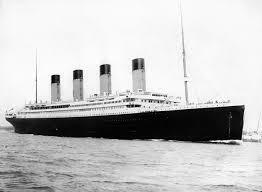 The RMS Titanic was a British passenger liner that sank on April 15, 1912. On it's way to New York City from the United Kingdom, the Titanic hit an iceberg. Over 1,500 people died. A few ways of observing this holiday is by watching Titanic the movie, listening to the wonderful Celine Dion (and other artists) on the Titanic soundtrack, or by reading a book about the tragic event. Julia Sonneborn’s “(e)ntertaining, romantic, and smart” (Library Journal) debut - By the Book, is a contemporary retelling of Jane Austen’s Persuasion, set in Southern California. Professor Anne Corey, a scholar of 19th century British literature and women writers, is chasing tenure at Fairfax, a liberal arts college. Between a full teaching load, trying to find a publisher for her book, and caring for her father at a nearby nursing home, she is stunned to find that the new president of the college (and her boss) is none other than her ex-fiancé, Adam Martinez whom she broke up with at their Princeton graduation a decade ago. While Adam remains aloof and professional at college functions, Anne is pursued by the charismatic, motorcycle-riding, literary superstar Rick Chasen, the college’s writer-in-residence. Anne begins to wonder if she might get a a second chance at love. For readers of The Austen Project , and those who enjoyed the 1995 movie adaptation of the novel. Reading Group Guide included. Starting Sunday, April 8th, National Library Week will be celebrated! Since 1958, National Library Week focuses on the promotion of library use and support. Within this week, National Library Workers Day will be celebrated on the 10th and Take Action for Libraries Day on the 12th. Be sure to check out the events page to see what is happening here at the library. There will be a concert with Paul VornHagen & The American Songbook of Jazz in the multi-purpose room on April 11th. I hope to see you there! Wednesdays at The Ann Arbor Farmers Market will start up again in May. I always enjoy the weekday version of the outdoor market. Maybe it is because I have such fond memories of taking my kids there when they were young. Wednesday morning market days were full of parents and kids leisurely wandering around, usually ending up at the Zingerman's play area, everyone with a coffee in hand. I'm sure the tradition carries on, fifteen years later. 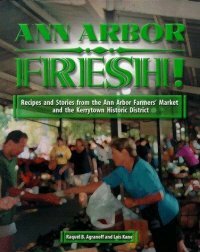 So, thinking about the Wednesday market opening soon, I started looking at Ann Arbor Fresh: Recipes and Stories from the Ann Arbor Farmer's Market and the Kerrytown Historic District. Flipping through the pages I noticed that it was published in 1998, but I quickly realized that it doesn't matter that the book is twenty years old. The idea behind the book is that recipes that were shared by the growers or by folks involved in the market, utilized ingredients found in the Kerrytown market area, both indoors and out. The opening paragraph of the preface, written by Raquel B. Agranoff, could have easily been written today. As she describes the variety of things available at the market and how "the Ann Arbor Farmer's Market is not simply a twice a week place where we savor, sniff and taste. It is a place to greet friends, to plan a meal, to buy a treat, to meander," I am transported back to those carefree Wednesday mornings, kids in tow, ready for a market adventure. Today is National School Librarian Day! To all our school librarians, thank you for spending the time providing resources to children for their learning and keeping the library organized. Without you, the learning environment at school would be very different. A good way to observe the day is to tell your school librarian, "Thank you!" Drawing inspiration from ancient Aztec art, Migrant puts a human face on illegal immigration by telling the story of a family's journey from a small village to Los Angeles. Seen through the eyes of a young child, the story follows the child, his or her sister, and their mother as they struggle with economic dislocation, shattered family bonds, and an ambiguous, uncertain future. The format of this book is extraordinary. The action plays out in one one long, continuous illustration, which unfolds like an accordion. Text runs along the left - in English on one side, and Spanish on the reverse. The imagery is brooding, intricate, and deeply moving. 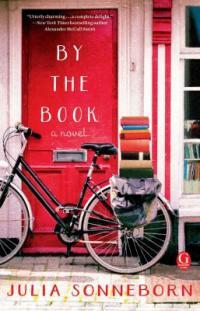 While the material is definitely heavy, the story is beautifully told. Migrant will be equally engaging for children and adults. Follow the link for a review via Hyperallergic. 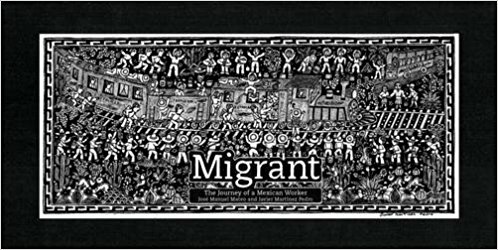 You'll find Migrant in our youth picture book section. Vladimir Lenin's 1917 train ride from Switzerland to Russia is one of the pivotal moments in Russian history - and also one of the most misunderstood. Lenin on the Train explores Lenin's personal journey as he hurtles across Europe in a desperate effort to reach the streets of St. Petersburg before the revolution passes him by. The book also delves deep into the wider world Lenin inhabited. Europe is deeply mired in World War I when the people of St. Petersburg rise up against the Tsar. Foreign powers conspire, while the forces within Russian society threaten to tear the nation apart. Catherine Merridale writes vividly and breathes new life into the material. 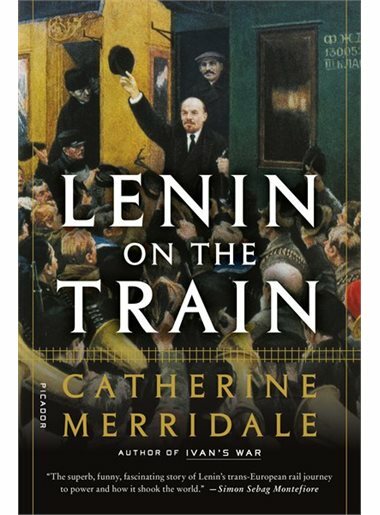 Lenin on the Train is sure to keep you on the edge of your seat. Eric, Emily, and Guy are secret agents, trained in orchestrating life-changing encounters for their targets. They think of themselves as “creators of possibilities, givers of hints, winkers of tempting winks, discoverers of options”. They each have specialties (Guy's in matchmaking). New assignments are slipped under their apartment doors, and the latest one, being of the highest level in complexity and danger, has Guy in a moral quandary. Asked to work above his pay grade (and expertise) on a mission that could alter world history, Guy must decide if he could ignore his conscience and get the job done. 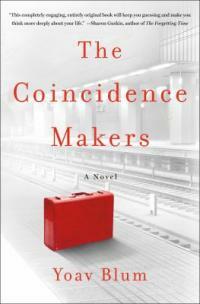 In the meantime, Emily, frustrated by unrequited love, arranges a personal coincidence to devastating consequences. As the plot hurtles towards a stunning conclusion, layers of deception and orchestrated coincidences are revealed, and lives are forever changed. I discovered a book in the youth section called Unbored by Elizabeth Larson and Joshua Glenn. 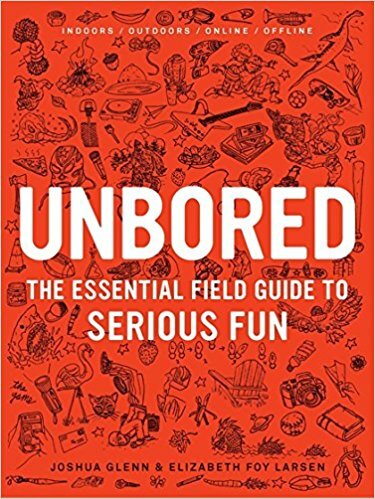 Unbored is a great guide for introducing different activities and hobbies for people that have free time (like me). Although it is geared towards children and families, that doesn't mean any adult or teen could not enjoy it! The guidebook has vibrant designs and illustrations with activities that are actually fun and doable. This book is a great way to teach anyone to do things. Some activities include stop-action movie-making, skateboard repair, geocaching, and blogging. It's a definite must for parents since summer is coming soon. Check out Unbored Games and Unbored Adventure as well. They rock! 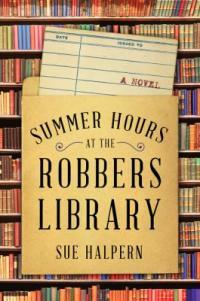 Rhodes Scholar and Guggenheim fellow, Sue Halper sets her fiction debut Summer Hours at the Robbers Library * * in Riverton, NH, a once prosperous mill town now in decline. The public library, a gift from local business mogul Albert Robers (drawing comparison to Andrew Carnegie of the "Robber" baron fame) is a beacon for lost souls, being the only well-maintained building in town. Suggested read-alike - Felicity Hayes-McCoy's U.S. debut The Library at the Edge of the World, where a librarian must find a way to rebuild her community and her own life on Ireland’s stunning West Coast. 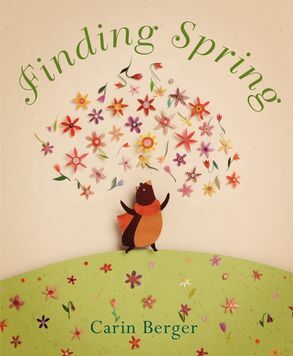 It doesn't feel like spring yet, so here are a few picture books that you and your little one can cozy up with until the warm weather arrives! In The French Girl by Lexie Elliott, the decade after six Oxford friends spent a summer week at a Dordogne farmhouse, life took them in different directions. 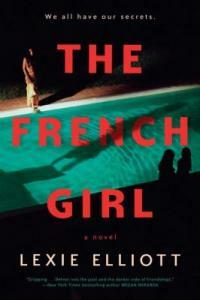 Their reunion is marred by the arrival of a French detective reopening a missing person's case upon discovery of Severine's (their neighbor) body in the well behind the farmhouse. As the friends are being questioned, Kate Channing, a legal recruiter, appears to have an obvious motive. Her then boyfriend Seb(astian), had slept with the missing girl. In the summer of 1986, 12-year-old Eddie Adams and his friends rode their bikes all over the village of Anderbury looking for excitement, and leaving secret messages for each other with chalk stick figures. 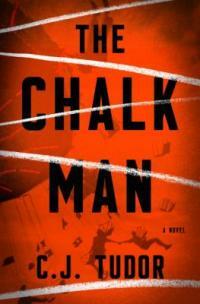 Their game turned deadly when chalk figures led them to the dismembered body of a local girl. Though the police lacked solid evidence, suspicion drove their new teacher Mr. Halloran to suicide. 30 years later, thinking the past is behind them, Eddie and his friends start getting chalk figure messages in the mail. When the only person who claims to know the identity of the killer turns up dead, Eddie realizes to save himself means figuring out what really happened all those years ago. In 1997, Christophe Andre was working in the Caucasus a humanitarian with Médecins Sans Frontières, when he was kidnapped and taken to an unknown location. He was held hostage by Chechnyans for three months in one room, handcuffed to a radiator. Graphic artist Guy Delisle takes on the challenge of illustrating the day to day boredom, loneliness, and fear that Andre experienced. 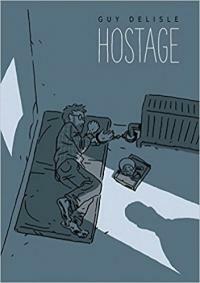 Delisle’s creation, Hostage, is a engrossing visual retelling of Andre’s three months in captivity. Frame by frame, we feel Andre’s confused mixture of distress and ennui through Delisle’s detailed and engaging drawings. Andre showed amazing strength of character through the ordeal, even attempting escape several times, and Hostage is a fitting tribute. Delisle is better known for his graphic travel memoirs, Burma Chronicles, Shenzhen: A Travelogue From China, Pyongyang: A Journey In North Korea, and Jerusalem: Chronicles From The Holy City, all of which I highly recommend. Though a departure for Delisle, Hostage is a great success. All AADL locations will be closed on Easter Sunday, April 1. Regular Library hours will resume on Monday, April 2. 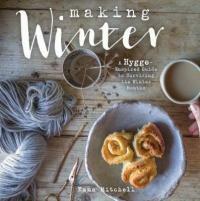 For all of you hygge fans out there, this one's for you - Making Winter: A Hygge-Inspired Guide to Surviving the Winter Months by Emma Mitchell. Just reading this book is hygge. The beautiful photography, simple illustrations, and meandering prose make it an absolute delight to read. Even though the book focuses on winter, the fresh recipes and nature-inspired crafts make it feel like spring. The last two sections, "The Grayest Days" and "Looking Ahead to Spring" spoke to me the most as I eagerly await the warmer weather. Even when the weather is too cold for outdoor gardening, it is never too early to plant flowers indoors or imagine spring through watercolors. I especially enjoyed the simple, cozy crochet patterns. I can't decide whether to start with the pantile shawl or hellebore boot cuffs! 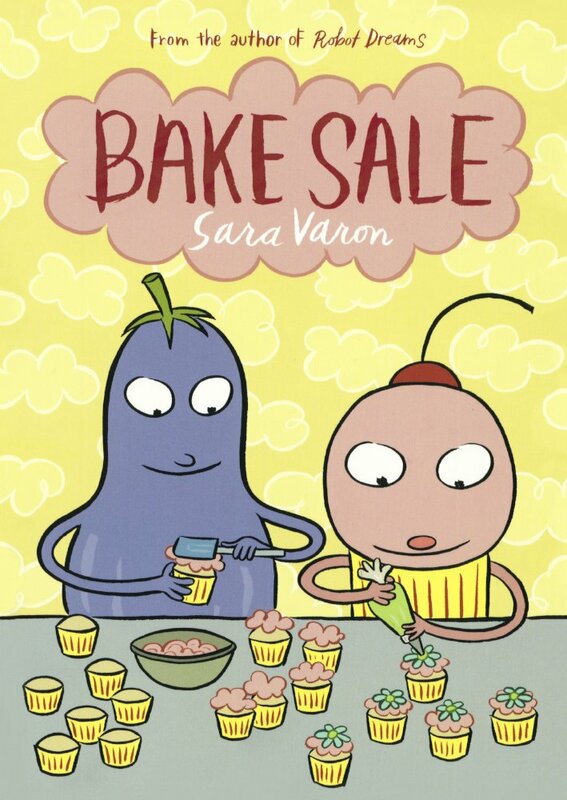 I recently discovered graphic novelist Sara Varon through this endearing story of friendship, hard work and creative struggles. I was enjoying it so much, I had to put it down. I wanted to savor the good feeling I was getting from reading and watching the lives of these adorable characters. Cupcake has a balanced life. He happily goes about his daily tasks running the bakery while enjoying the company of friends and the community. He’s the drummer in a band with his best friend and his life is pretty good. When he hits a baking rut, his friend invites him to meet his culinary idol, Turkish Delight. He is sure this will be a solution to his creative lag. Alas, there’s no easy answer to life’s challenges. Relatable emotions are illustrated throughout the story and I love the attitude Cupcake exudes throughout it all. You've probably seen the memes and videos that end with "We'll Be Right Back." 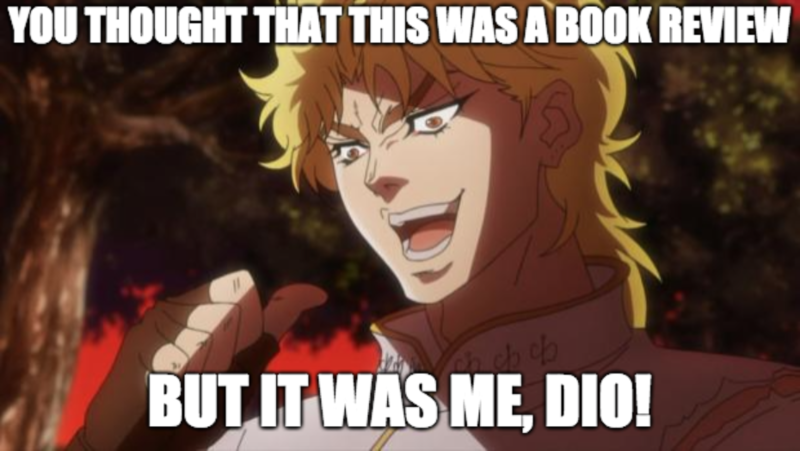 The origins of both of these viral hits are from the legendary series, JoJo's Bizarre Adventure! Coming soon in the spring, AADL will have the complete first season for you to watch. In the meantime, check out the manga series. Taking Japan by storm since the 1980s, JoJo's Bizarre Adventure follows the Joestar family whose fate involves taking down supernatural foes. In Phantom Blood, we follow the first Joestar, Jonathan, as he struggles to find peace with his adopted brother, Dio Brando. If you're looking for a heartwarming story wrapped in a cozy blanket of metaphor that might make you cry into your figurative (or literal) tub of ice cream, this is it. 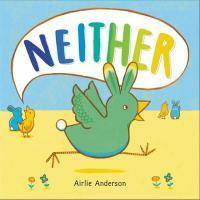 Neither, a picture book by Airlie Anderson, features a little green critter dubbed Neither who doesn't fit in a world of This and That. Neither goes in search of Somewhere Else, but finds the patchwork Land of All. The last page is both breathtaking and adorable, and readers will enjoy looking at all of the unique characteristics of a diverse cast of creatures. If you know someone who feels like they aren't enough or wants to be a supportive friend, this book might be the perfect place to start a meaningful conversation.